Still looking for something to do for Valentine's Day? If you're near the Tomas Morato area, try Mrs. Graham's Cafe. It's a cute little place along Scout Rallos which T and I were invited to last year. For tomorrow, they will be hosting a Movie Date on the second floor and play various love-related movies throughout the day. 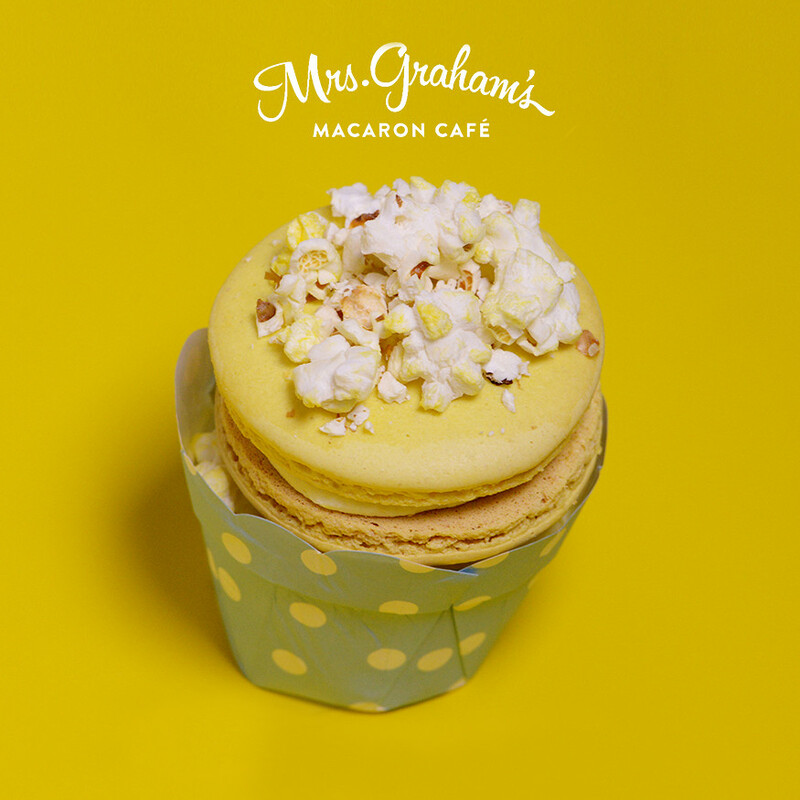 All you have to do is purchase their newest macaron flavor... Buttered Popcorn with Salted Caramel. How cute is that? Movies and popcorn, Mrs. Graham's style!